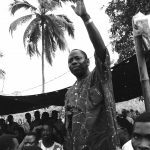 In 1998, in response to environmental and economic damage caused by Chevron’s oil producing activities in their communities, members of the Ilaje ethnic group in Nigeria organized a protest at a Chevron offshore oil platform. The Ilaje took small boats out to the platform and staged a nonviolent occupation; they were unarmed and no oil workers were harmed. In fact, armed Nigerian navy personnel remained at the platform throughout the protest. An internal Chevron memo sent the day after the protest started noted that the protestors “have thus far been peaceful.” A fax sent to the U.S. embassy the next day noted that the “villagers were unarmed and the situation has remained calm since their arrival.” But that same evening, Chevron called in the brutal Nigerian “mobile police,” known as the “kill and go” squad. The next morning, soldiers and police paid by Chevron arrived in Chevron helicopters, and shot and killed two protestors – one with four shots to the back, another with three shots to the side, according to autopsies. More protestors were arrested, and some were tortured. Chevron noted that the military was “closely supervised by” Chevron’s security personnel. We sued Chevron in California for its complicity in these abuses, and brought the case to trial in 2008. This was the first time a multinational oil company had faced trial on charges of serious human rights abuses, an important milestone in international human rights law and corporate accountability. Unfortunately, although the judge had found that there was enough evidence to allow a jury to find Chevron liable for the human rights abuses suffered by the plaintiffs, in November 2008 a jury found that Chevron was not responsible. Surviving family members of one of the murdered protestors as well as other protestors who were shot, beaten, detained, and tortured, including Larry Bowoto. Chevron Corporation and its subsidiaries Chevron U.S.A., Inc., and Chevron Investments, Inc. In addition to EarthRights International, counsel for the plaintiffs included Hadsell & Stormer, Traber & Voorhees, Judith Brown Chomsky, the Center for Constitutional Rights, Paul Hoffman, Anthony DiCaprio, the Electronic Frontier Foundation, Michael Sorgen, Jose Luis Fuentes, Robert Newman, and Richard Wiebe. After 30 years of oil exploration and production by Chevron (and its predecessor Gulf Oil), members of the Ilaje ethnic group organized to challenge the company. In early May 1998 the Concerned Ilaje Citizens, including Larry Bowoto, sent local officials an extensive report detailing the various damaging effects of oil production – including the contamination of drinking water through saltwater intrusion, destruction of aquatic life in the local creeks, disruption of ecosystems by explosives, acid rain from gas flaring, and erosion threatening villages. The report, entitled “The Marginalisation of the Ilajes,” also noted that their community had not benefited from Chevron’s presence; of almost 2,500 Chevron employees in Nigeria, only one was Ilaje. The report also noted that the Ilajes were peaceful and sought dialogue, while demanding environmental remediation, health centers, and greater employment and educational opportunities. 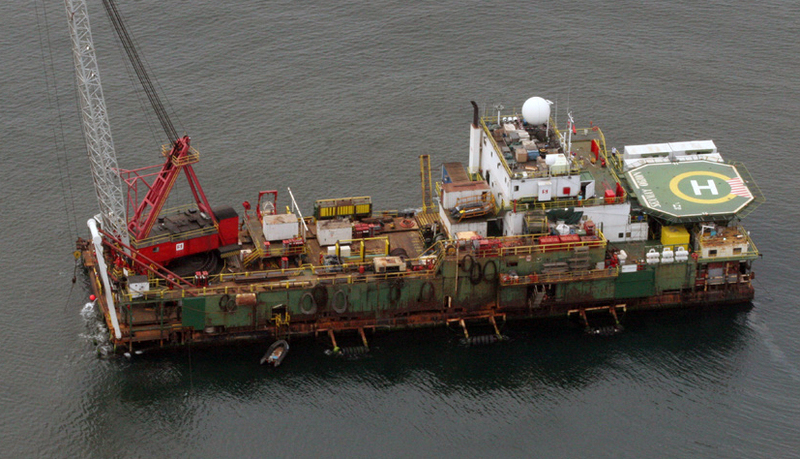 With no satisfactory response, on May 25, a group of Ilajes took small boats out to occupy Chevron’s Parabe platform and an adjacent construction barge. No oil workers were harmed throughout the occupation. On May 26 and 27, Chevron personnel repeatedly told both Chevron officials and the U.S. government that the protest was peaceful and the protestors were unarmed. At that point, the protestors had decided to leave in two days. But on the evening of May 27, Chevron called in Nigerian forces to evict the protestors. These included the mobile police, or “kill and go,” which had a brutal reputation and had committed some of the worst abuses against the Ogoni people. The soldiers and police arrived in Chevron helicopters on the morning of May 28, and shot and killed two protestors, shot and detained Larry Bowoto, and detained and tortured several others. 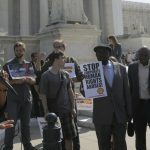 ERI and its partners filed a lawsuit against Chevron in U.S. federal court in California, with claims of human rights violations under the Alien Tort Statute, as well as other claims such as wrongful death and assault. Chevron moved to dismiss, arguing that it was inappropriate to hear the case in the United States and that it should be heard in Nigeria. The judge denies Chevron’s attempt to dismiss the case, finding that the case could not be heard in Nigeria because Chevron Corporation was not willing to appear in court there. The parties proceeded to the discovery phase of the case. The court ruled that the plaintiffs’ claim for a violation of California’s unfair business practices law could not be litigated in federal court, due to federal standing rules. The plaintiffs re-filed this claim in California state court, seeking a court order that Chevron would need to change its business practices. The federal court denied Chevron’s motion for summary judgment, finding that there was sufficient evidence to hold Chevron responsible for the actions of its Nigerian subsidiary and personnel in Nigeria. The court also allowed the plaintiffs to add a claim for a violation of the Torture Victim Protection Act. In the related state court case, the judge denied Chevron’s motion to dismiss, rejecting Chevron’s arguments that its misleading public statements about the Parabe incident were protected by the First Amendment. The federal court dismissed the plaintiffs’ claim under the Torture Victim Protection Act, ruling that corporations could not be sued under that law. The court ruled that other claims could proceed. Chevron filed multiple motions for summary judgment to try to avoid trial. Although it found that a few claims could not proceed, the federal court largely denied Chevron’s last attempts to avoid trial, ruling that many claims were both legally sound and factually supported. The U.S. State Department submitted a letter to the state court, requesting that the court should not order Chevron to comply with the Voluntary Principles on Security and Human Rights, but that the government had no objection to other orders that the court might find appropriate. We filed an appeal with the Ninth Circuit Court of Appeals. Chevron demanded that the Nigerian plaintiffs repay some of its costs of litigation, but the judge denied this request, because the plaintiffs had no money and because “assessing costs . . . would have a chilling effect on future human rights litigants.” We agreed to dismiss the related state court case. The Ninth Circuit denied the plaintiffs’ appeal. Among other things, the court found that corporations could not be sued under the Torture Victim Protection Act. We filed a petition to the U.S. Supreme Court, seeking review of the question of whether corporations can be sued under the TVPA. The U.S. Supreme Court decided Mohamad v. Palestinian Authority, ruling that only individual humans can be sued under the TVPA. After this ruling, the Court denied the petition in Bowoto v. Chevron. The Bowoto case was filed in the U.S. District Court for the Northern District of California, and the related state case proceeded in the Superior Court of San Francisco County. The case was appealed to the Ninth Circuit Court of Appeals. This case was significant as one of the only Alien Tort Statute (ATS) cases against a corporation to reach trial. Along the way, the court rejected a number of commonly-raised defenses, including the act of state doctrine, forum non conveniens, secondary liability for violations of international law, corporate responsibility under the ATS, and the actionability of a number of norms of international human rights law, including extrajudicial killing, torture, and cruel, inhuman, and degrading treatment. The case was first heard by Judge Charles Legge, and later taken over by Judge Susan Illston.